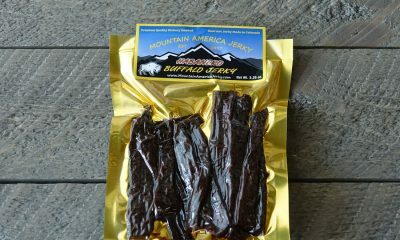 Lean, high in protein and iron, our Gluten Free Elk Jerky is a great taste treat without the use of any wheat products. This recipe is a classic combo of fine ground black pepper with a subtle sweetness. It’s easy to pack in your backpack or lunch box for a wonderful snack anytime. Our Gluten Free Elk Jerky uses the finest elk meat in North America. It is never treated with growth hormones or steroids. 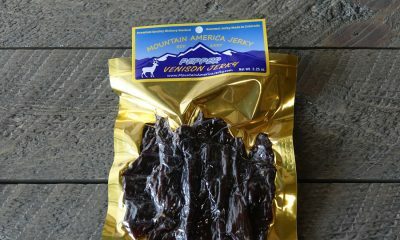 Elk has a mild flavor. It is thick cut, marinated, and hickory smoked daily. Plus, it’s preservative-free with no MSG, nitrates, or other fillers. 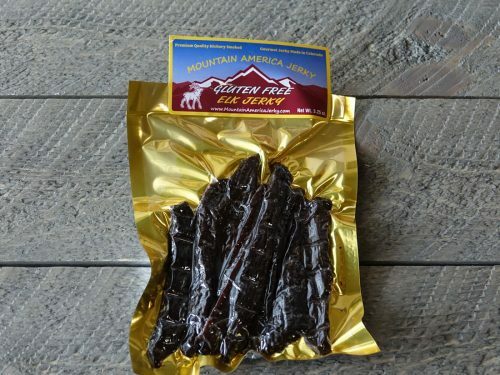 Try our Gluten Free Elk Jerky and discover an easy way to get a quick and delicious protein fix. Excellent quality, texture and flavor, and nice size pieces. Not as pungent and spicy as their non-gluten-free choices, but that’s perfectly fine. Super good and high quality for anyone who wants to avoid gluten. 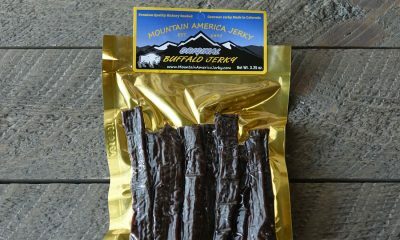 Plus, Elk = some of the best meat out there! Good meat and nice not to have any reaction to any of the ingredients. Of course I enjoyed the Elk a bit more then the Buffalo I bought at the same time.